Direct reprogramming of human somatic cells into induced pluripotent stem cells (iPSCs) provides a unique opportunity to derive patient-specific stem cells with potential application in cell therapies and without the ethical problems concerning the use of human embryonic stem cells (hESCs). However, cellular senescence, which contributes to aging and restricted longevity, has for long been described as a barrier to the derivation of iPSCs. However, recently, we demonstrated, using a specific protocol, that cellular senescence is not a limit to cell reprogramming and that age-related cellular physiology could be reversed. We, showed that iPSCs generated from senescent and centenarian cells are indistinguishable from hESCs and have been fully rejuvenated as shown by their ability to re-differentiate into young cells. 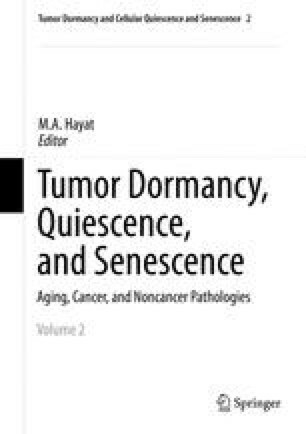 In this chapter, we will present the initial results that described senescence as a barrier to cell reprogramming before detailing the experiments that allowed us to derive iPSCs from senescent cells and show that these cells were reverted to a younger state. We will finally discuss the molecular mechanistic possibly involved in cell reprogramming of aged cells and propose a model that could provide new insights into iPSCs technology and pave the way for regenerative medicine for aged patients.